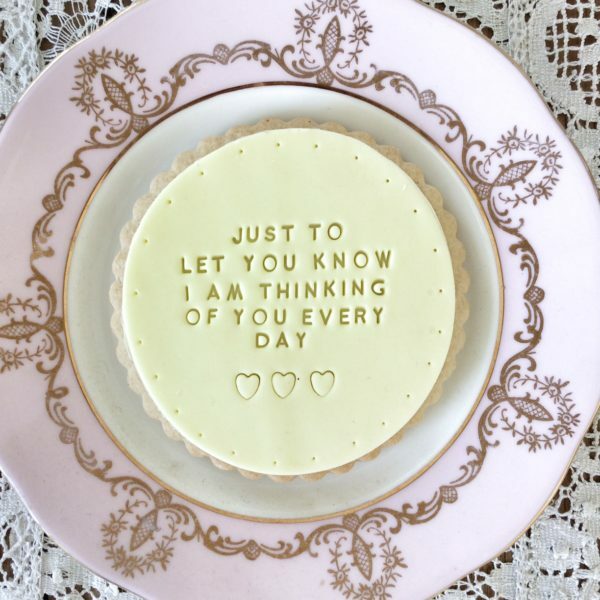 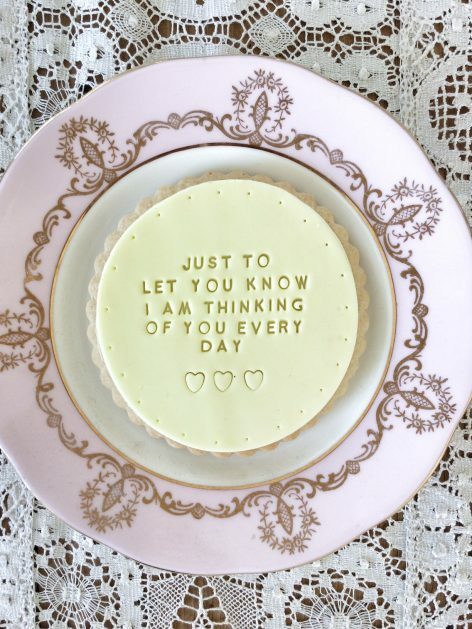 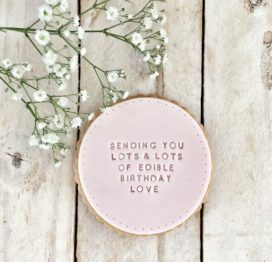 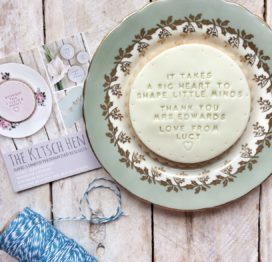 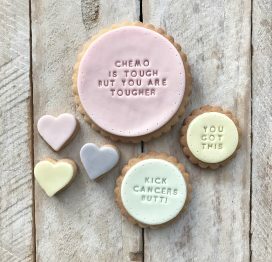 Here at The Kitsch Hen, we’re all about sharing love and encouragement between one another, and letting someone know they’re in our thoughts, and this single biscuit says it all really. 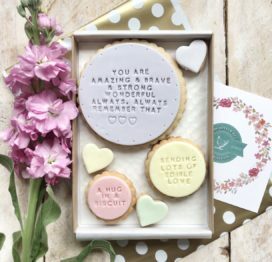 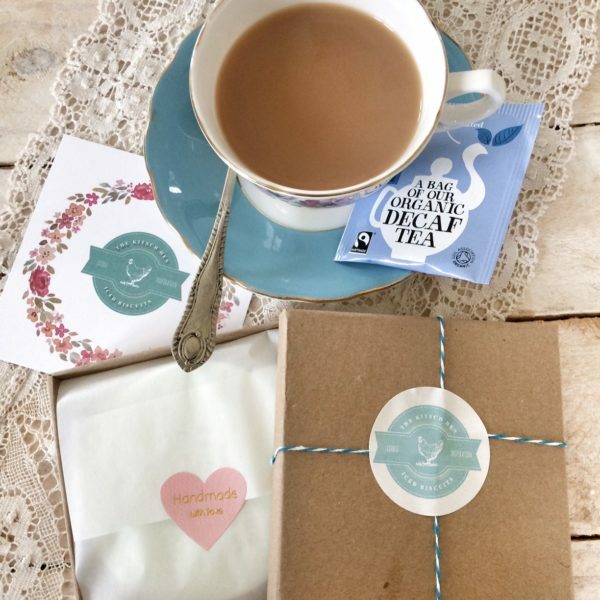 Our single biscuits all come with an individually wrapped tea bag too – so there’s no excuse not to take five minutes to sit down with a cup of tea, a biscuit, and a cosy warm feeling of being loved. 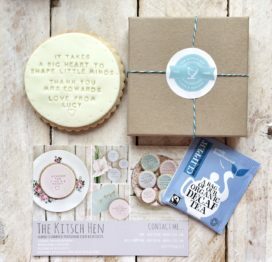 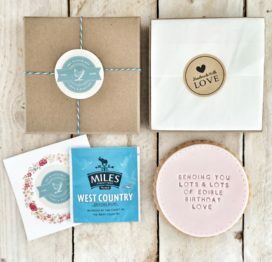 All of our biscuits are presented in a gift box and can include a personal, handwritten message of up to 170 characters – please let us know what you would like us to write in the gift note box. 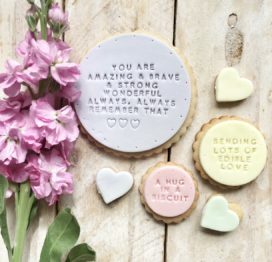 Includes one large (10cm) delicious vanilla biscuit.